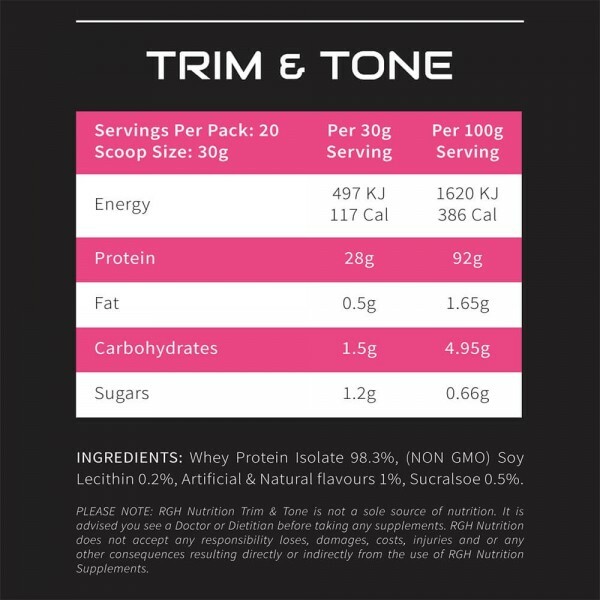 Get the most out of every workout with the ultra-premium lean blend of Trim & Tone designed 100% for females! 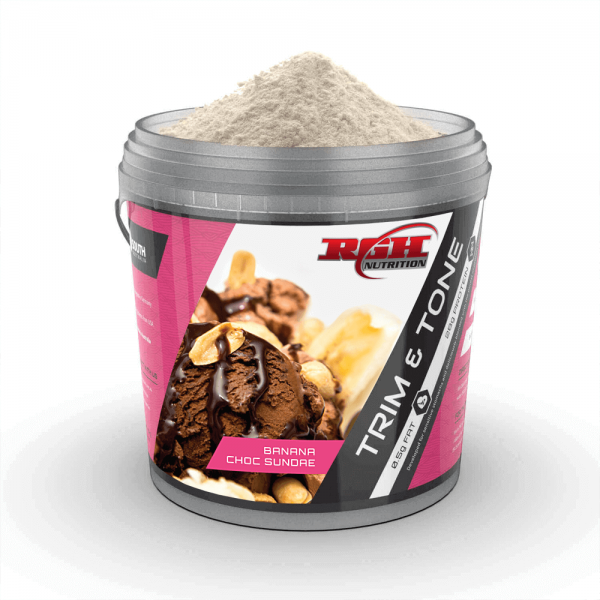 With 28g fast-absorbing protein per serving, RGH Nutrition Trim & Tone maximizes your lean muscle growth and recovery safeguarding proper protein utilization. 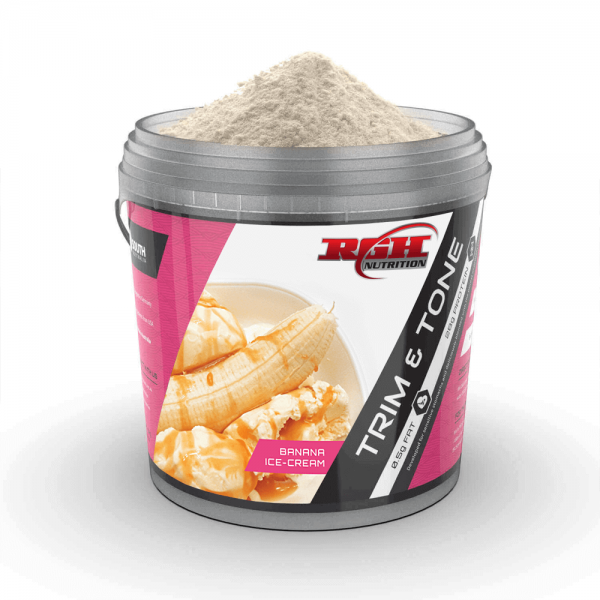 Our expert team of scientists created a new advanced formula specialized for females, minimizing the use of fats and lactose (almost to 0), for easier absorption and faster buildup of lean muscle mass. And of course…. our premium protein powder is free of artificial dyes, fillers, gluten & similar harmful ingredients. We believe that quality is nothing without taste and aroma – so we created 5 AMAZING flavors (Chocolate Cake, Banana Ice-Cream, Banana Choc-Sundae, Strawberries and Ice-Cream, and Vanilla Ice Cream), so no matter what your taste buds desire…. We have you covered! 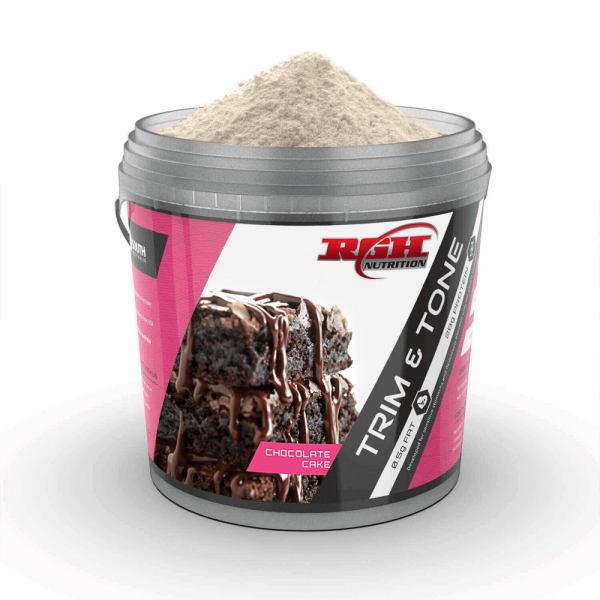 Enhance athletic performance, strength and overall personal health while gaining lean muscle mass. P.s – Did we mention how amazing it tastes? 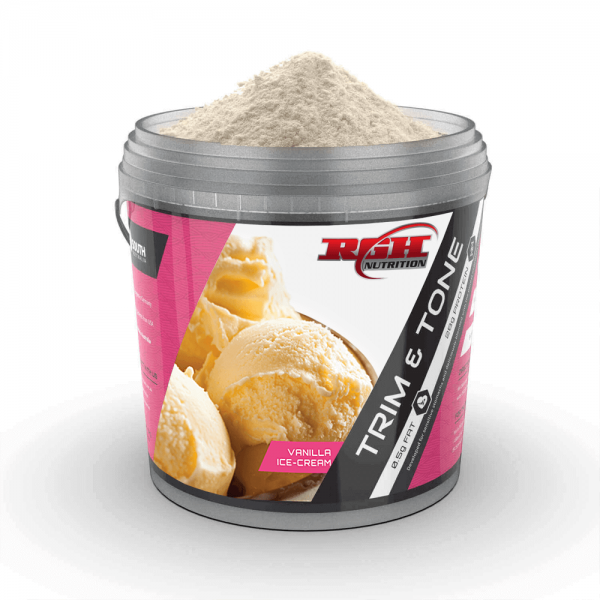 Get RGH Nutrition Trim & Tone now RISK-FREE.